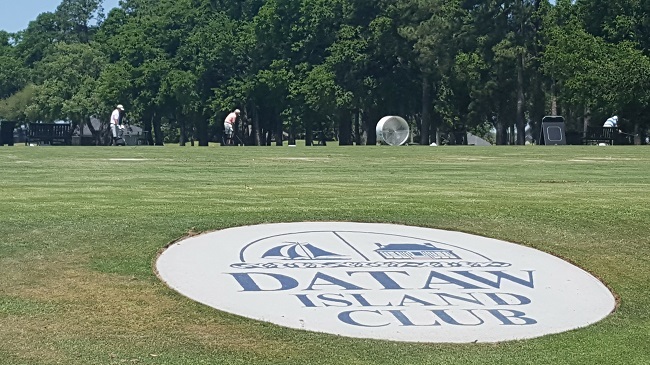 378 Dataw Drive is located in the wonderful golf community of Dataw Island, South Carolina. 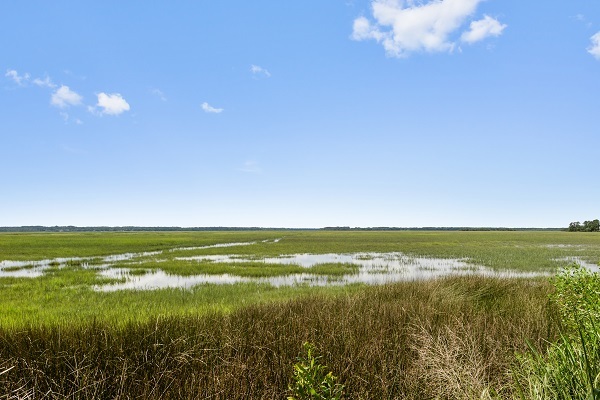 The community is situated next to the neighboring town of Ladys Island, and is just before the town of Frogmore. Historic Beaufort and Henry C Chambers Waterfront Park are only minutes away. This four bedroom, four full bath home has it all. There are many quality features throughout the 3535 square feet of enjoyable living space. 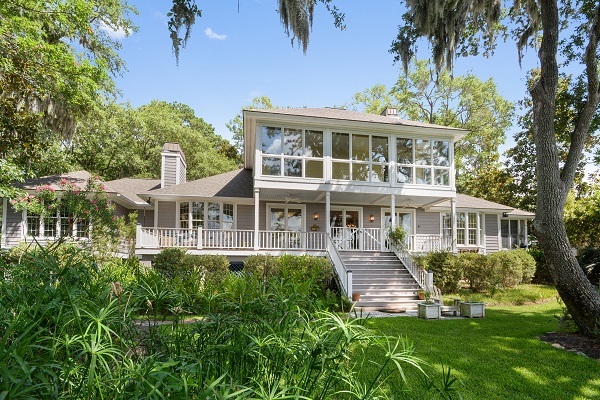 There are custom built-ins, gorgeous hardwood floors and plush carpet, high ceilings, and incredible marsh views with beautiful sunsets. This home is one-of-a-kind, in that it offers two master suites on the first floor. It is also includes some handicap accessible features like a chairlift to the second floor, handicap walk-in showers, and a walk-in closet in one of the master suites. All the rooms are spacious, with bright windows to let in the natural light. The home has a fantastic layout that makes entertaining easy. There is a sitting area to the right of the front door, perfect for receiving guests. Then it opens into the Great Room, where the elegant fireplace is the main focal point. From here, there is access to the open porch. 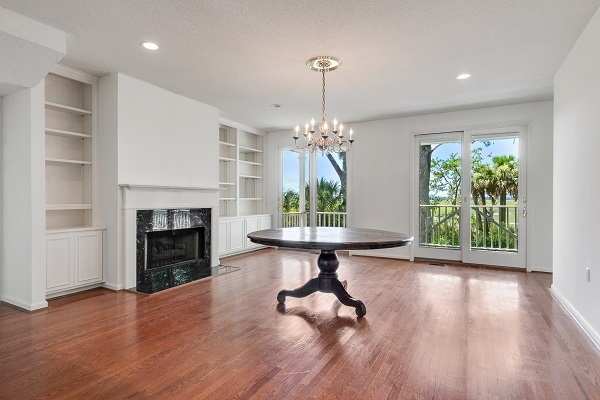 The dining room also enjoys a fireplace and bay window for memorable views. The kitchen is nice and open, and overlooks the dining room. It has ample storage space with two pantries, attractive gas stove, and breakfast bar for additional seating arrangements. 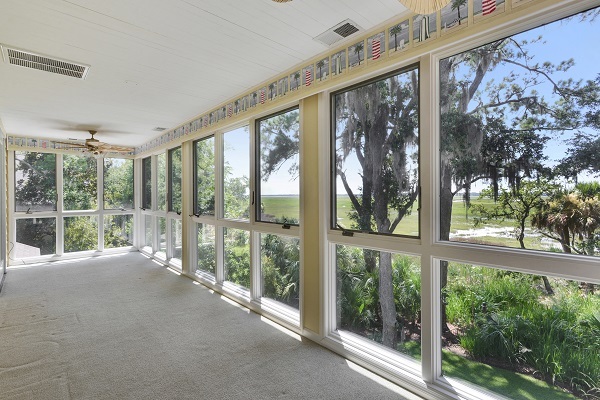 The Carolina Room is on the second floor and has expansive views of the low country landscape. 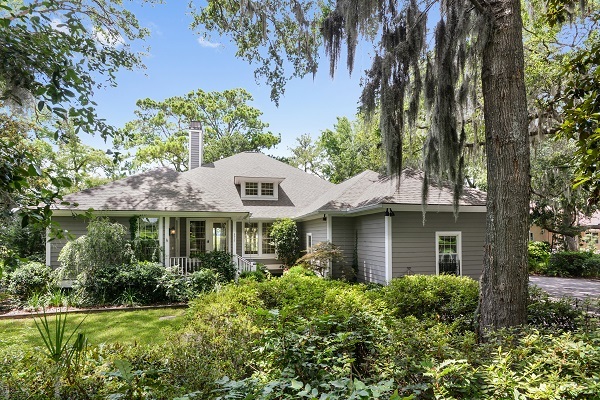 It also overlooks the immaculate backyard, and picturesque Spanish moss covered trees. The back porch is big and open, and is almost the entire length of the house. There is also the screened porch perfect for bird watching or reading a book. This home is complete with a two car garage, including golf cart storage.